A scaled-down tractor seat top with firm seating surface and corkscrew height adjustment make the 5120 a go-to throne option. Tractor Style Full-Size Molded Seat Top provides ergonomic comfort. 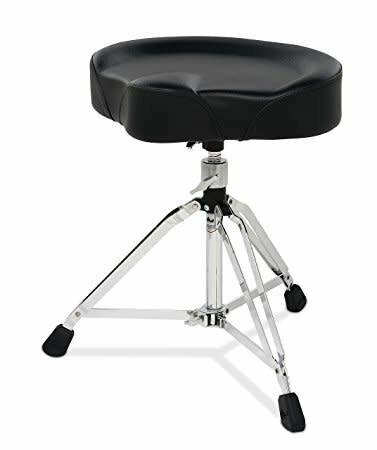 Solid Ear Casting with Oversize Locking Nut and Swivel Height Adjustment allows the 5120 to have a 21" to 29" seat height. A 1 1/8" full-size Double-Braced Base gives you the unsurpassed stability.